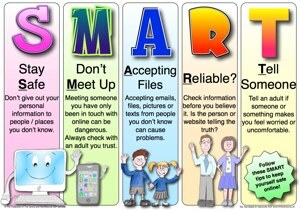 Here are some tips on how to stay safe online and be conscious in your your choices when learning and creating with digital content. Taking an image from Google could cost you $7500. Learn from this blogger's mistake (click to read article), and make sure to get images from legal to use sources. Pics4Learning, Pixabay and PhotosForClass are some great resources for photos. 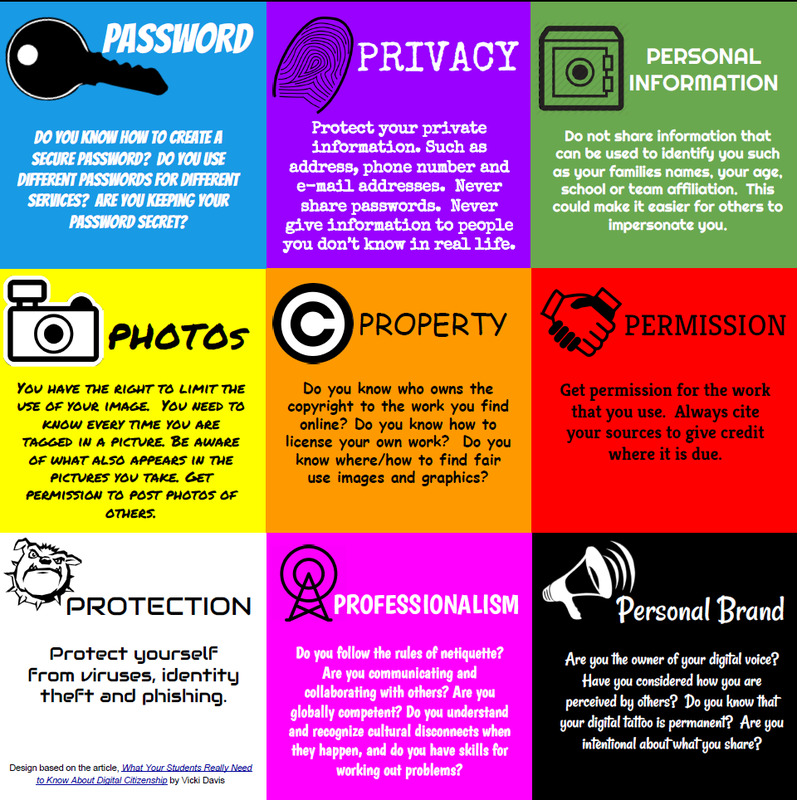 Please visit this quick link to see what you be thinking about when it comes to copyright for your school projects! Adding music to your project? Here some music Fair Use guidelines. Don't forget to cite your source(s)! Adding poems to a project? Keep these Fair Use guidelines in mind when using poems in your projects. Use up to 250 words (or the entire poem if it is less than 250 words). Use no more than 3 poems by the same poet. Use no more than 5 poems from a collection of poetry. Be cautious of links and downloads. Do not download or install software or anything on your computer or cell phone before checking with your parents or guardian. Be considerate of others when posting pictures. Do not post inappropriate pictures of anyone. Your online presence is your personal brand so make it is positive! Protect your reputation. Only do things online that would not be embarrassed for anyone to see - your parents, your grandparents, your friends, your future boss, etc. Emails and texts can be misunderstood. You can't misunderstand a phone call.